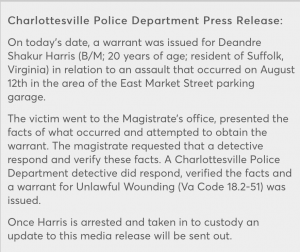 The Charlottesville Police Department (CPD) has issued a warrant for DeAndre Harris, the African American man from Suffolk who was the victim of a vicious assault by white supremacists at Unite the Right on August 12. 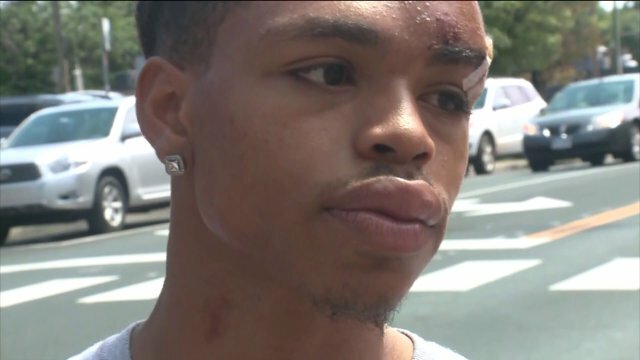 Harris was assaulted at the Market Street Parking Garage by six white supremacists who pushed him to the ground and beat him with wooden pikes. 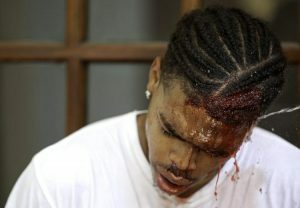 In the assault, Harris sustained a spinal injury and head trauma that required 10 staples. Onlookers filmed the incident, which led to a nationwide crowd sourced campaign led by New York News Daily Columnist Shaun King to bring the perpetrators of the assault to justice, leading to two arrests, one of which was a member of the Ku Klux Klan. According to the warrant issued by the CPD, however, Harris is wanted for unlawful wounding for an injury sustained by one of his attackers. Police have not identified who his accuser is as this time, yet according to the Washington Post, who spoke to Harris’s civil attorney S. Lee Merritt, the charges are “clearly retaliatory” and were likely leveled by someone from a white supremacist group. The fallout from Unite the Right continues to plague the city of Charlottesville. Nonetheless, the warrant for Harris comes on the heels of another torchlit rally led by white nationalist and alt-right scion Richard Spencer this past Saturday night – an event which ended in no arrests or summons by the city for any of the participants.